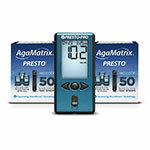 Gestational Diabetes Value Pack 1 - Purchase 400 strips & 300 lancets and receive a FREE AgaMatrix Presto Pro Glucose Meter. This product package contains everything that a woman would need to begin glucose testing after being diagnosed with gestational diabetes. 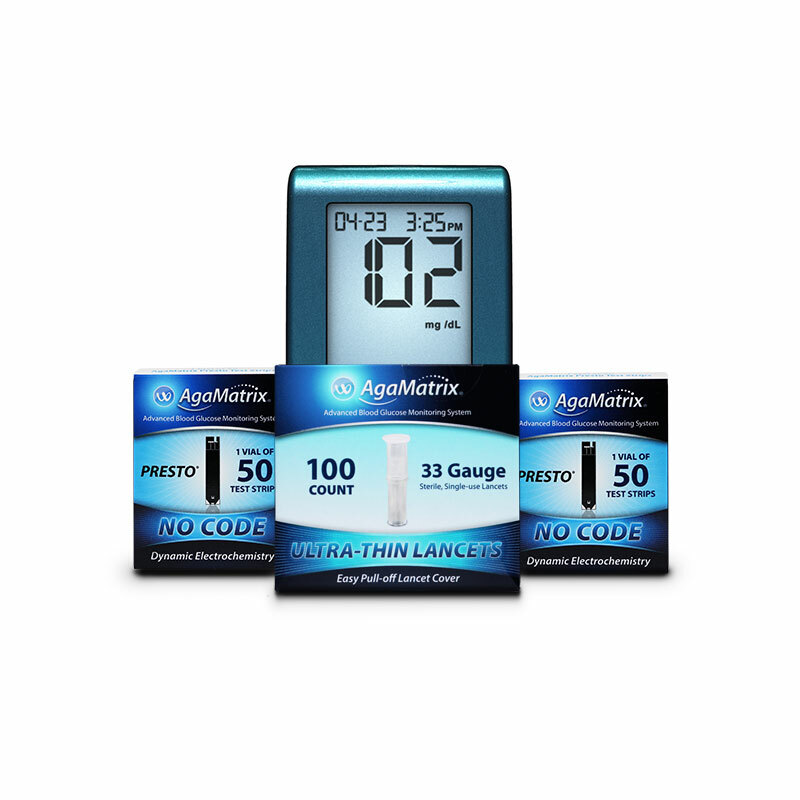 Included with the meter are 400 glucose test strips, 300 lancets, a lancing device, and a carrying case. Gestational diabetes (GDM) is diagnosed when blood tests reveal high levels of glucose in the blood during pregnancy. Between 4-10% of women in the United States are diagnosed with gestational diabetes. Women are typically checked for Gestational diabetes between the 24th and 28th week of pregnancy as this is when the mother’s body is producing large amounts of hormones that may result in insulin resistance. When diagnosed, the mom is required to monitor her blood glucose levels at least four times per day for the duration of her pregnancy. She may also be asked to implement lifestyle changes such as a healthier diet and moderate exercise. In some women, the diabetes will dissipate after the baby’s birth but proper blood glucose testing and management should be practiced until a physician declares that the mom’s blood glucose levels are in an acceptable range. This product package contains everything that a woman would need to begin glucose testing after being diagnosed with gestational diabetes.